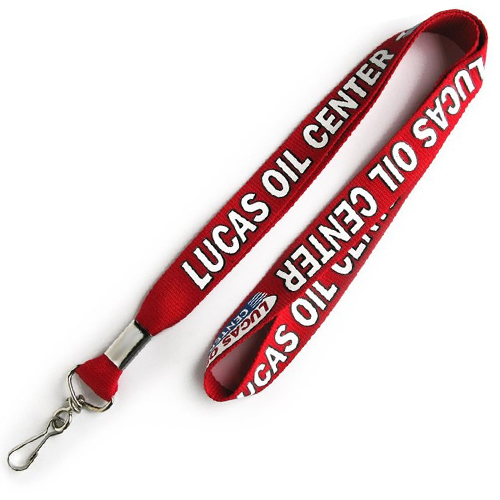 How Will Promotional Lanyards Benefit You? Festivals and promotional events are perfect opportunities to promote your brand and interact with new prospective customers. You get the chance to tell people about your brand and your products and make sure that they remember it. Business owners often spend thousands of dollars on marketing strategies during events and product launches but sometimes, the simplest solutions tend to work well. At Ezy Lanyards, we’ve seen simple solutions like a printed wristband work very well in such occasions. What are the Benefits of a Printed Wristband during Special Occasions? Branding – Wrist bands tend to stand out and draw attention so it’s a great way to promote your company. You just need to use a lettering colour that would contrast with the background and stand out sharply. Sporting Events – These bands are a perfect way to showcase your support a team at sporting events. You can order bands in team colours and write the team name or slogan on them. You can distribute these bands amongst other support teams and cheer for your favourite team. Trade Shows – At trade shows and commercial fairs, you need to make sure that your brand stands out and catches a prospect’s attention. A wrist brand would help you achieve that goal easily. You can order them by the bulk and give them to people who have purchase a product or booked a service at your booth. That would help spread the message about your brand. For Children – Printed wristbands are also available in child sizes so you can purchase them for events involving children. If your child is a part of a sport’s team or the debate club, you can order wristbands for all children and show your support. These bands are very affordable and easy to use. They’re also made from durable, child-friendly materials. The printed design and text on these bands won’t fade easily so they can withstand rough use and still be vivid and eye-catching. The minimal investment ensures that you get high ROI from this product. You can order anywhere from a 100 to 5,000 bands at a one time, so you’ll never be in short supply of the product. If you want to try out our printed wristband, place an order today! Our company is an Australian owned and operated venture so you don’t have to worry about our quality. We can deliver to any location in Australia wide. Have any questions about lanyards or want to place an order? Get in touch with us at Ezy Lanyards through this contact us form. We’re also available on the phone so give us a call on 1300 753 675 and we’ll be happy to help.